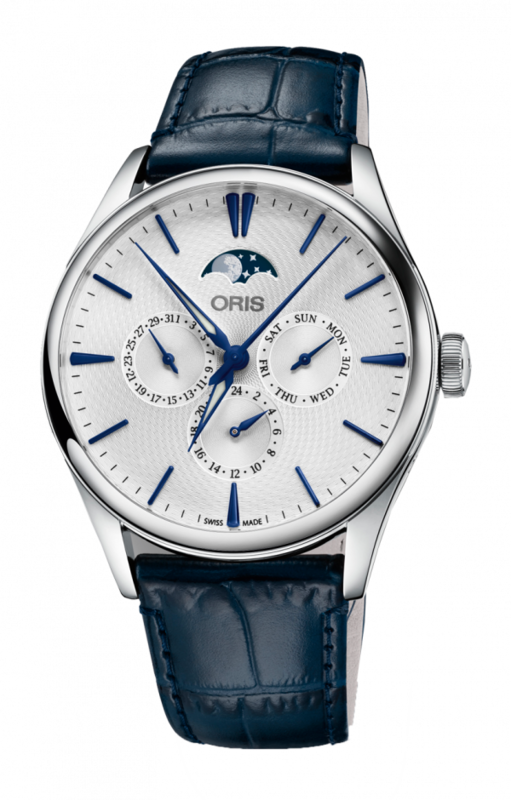 Available as a 40.5mm the Oris Artelier Complication is whatever you want it to be. Choose a dial and strap combination to fit your style, your mood or even your outfit. With a second time zone it’s ideal for today’s busy business traveller, and is perfect in every situation: business or social, day or evening.